MagicJackin’ a VM | Juxta Services, Inc. So we all know how giddy I get over bargains (if not, consider this a news flash), and I found a great one the other day. The father of a buddy of mine whom I was chatting with the other day, told me about this snazzy new VOIP service called MagicJack. Basically IT is USB VOIP adapter that cost me ~$50 for a year’s worth of service that included the device and free unlimited calling anywhere in the US and Canda (right now the price for an additional year is $20, but I’ve learned not to buy ahead on service with startup VOIPs). Awesome deal, right?! That’s what I said too. I mean I am paying almost $20 a month for my current VOIP line at home. The only question for a tuxraider like me was…how hard would it be to get it working in Linux (I was confident there would be a way to do so)? Well, after a little bit of probing I discovered that there was no native Linux version of the software…bummer. But I have had to run a Windows VM for a while now so that I could handle a few odd Windows only tasks, so I figured it would be easy to just throw that puppy onto the VM and be off to the races. ‘Twas not to be so easy. I soon discovered that out of the box, VMWare Server does not have entirely stellar USB service when run inside Linux. 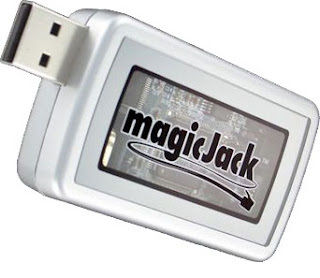 It is fine for sharing a USB disk, but the MagicJack was fightin’ back. So I began to poke around and finally figured out how to get it working inside of a Windows VM on Linux. If you are still having problems getting the MagickJack to work on a Windows VM in Ubuntu, I recommend setting the networking on the VM to bridged first and then once it is working set it to NAT. Now, since I’m the only one who has called my number, I just need someone else to call me up to make it a bargain worth its salt.